About 1 year ago, our current janitorial company pulled out of serving the Salinas area. We called around, got a few quotes but still we weren’t sure who to go with. Donald offered to come by and chat with us about our janitorial needs. He was very friendly and informative. We hired him on the spot. He’s been taking care of us for about a year now and our office still passes the white glove test. Glad we found you Smitty’s Janitorial! Please consider this a letter of reference for Smitty’s Janitorial Service. 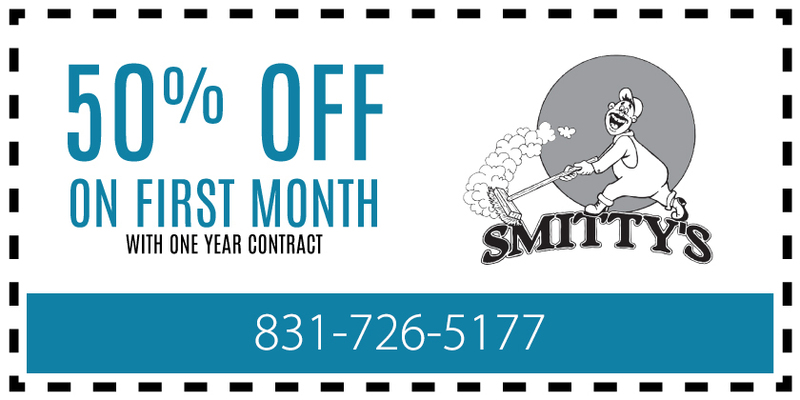 Smitty’s Janitorial Service has cleaned our properties for the past 5 years. As property owners, we are VERY particular about the cleanliness of our properties and Smitty’s has always done an excellent job. Their staff is highly professional and the work is always done on time and to our expectations. I would recommend Smitty’s Janitorial Service without reservation. You gave my life a big lift when I saw the job you did at our office. I was very lucky to find honest hardworking people like you to clean my office. Thank you for the perfect job you did. I will definitely tell my friends and co-workers about you. Count on me to be your customer for life.